For the last 20 years, corporations, conferences, and motivational seminars have booked Michael to speak at their events. There truly is nothing better than face-to-face interaction when it comes to inspiration and practical education – both of which will be delivered by Michael during every speaking appearance, regardless of the topic. Michael delivers entertaining presentations with practical tips on life and sales in his dynamic style. The content is conversational and interactive. Often times, the most value is delivered during optional breakout sessions after Michael’s talk, in addition to informal Q&A throughout the day. Personal improvement must be intentional and ongoing. The truth is, if your people aren’t getting better, you can’t expect your business to get better. But when your people get better, everything gets better; better sales, better communication, better customer satisfaction, and better profits. This keynote is motivational, interactive, and entertaining with actionable takeaways that will immediately improve the performance of your team (as well as their relationships outside of the workplace). Michael gets his audiences primed and pumped to look at themselves now, and envision a new and better version of themselves in the future. So, if you’re ready to have your people inspired and re-wired to stretch, reach, and push beyond their comfort zone, their self-imposed limitations, and their fear to “be better” every day, then this keynote is for you. In sales, it doesn’t matter whether you come in second or tenth – the pay (and pain) is still the same. From the trenches, Michael takes your salespeople on a compelling, powerful and amusing journey through their competitive marketplace where winning is the name of the game. Your salespeople will learn actionable, street-proven tactics and strategies on how to close more deals, realize greater profits, and create unbeatable relationships— giving them the “inside track” advantage and the all-important competitive edge. Second place just isn’t an option. it’s time to stop whining and start winning. Communication plays a vital role in every aspect of business and life. The cost of poor communication can be devastating… lost customers, reduced employee performance, failed relationships, and failed businesses. So, whether communicating with colleagues, customers, or loved ones, you better make it count. It’s time to close the communication gap. This stimulating and interactive keynote will help your people do just that. Michael clearly communicates to your audience how to clearly communicate. Time-tested communication tips, tricks, and techniques will be revealed on how to be understood more and misunderstand less. Have your team become communication ninjas. Compelling and laugh out loud stories will touch the hearts and move the minds of your people as they become more effective communicators, and as a result, better leaders, employees, parents, spouses, and friends. 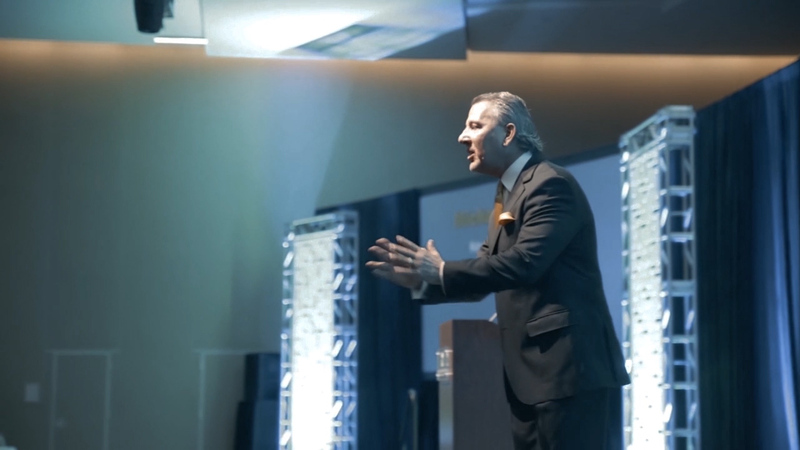 Hear this keynote and you’ll never hear (or be heard) the same way again! Life is hard. Business is hard. But, you know, it could be a lot harder. When was the last time you counted your blessings? I mean really sat back and realized how lucky and blessed you were compared to 98% of the people in the world. Perspective is a powerful thing. It’s time to engage all the senses. This keynote reaches deep into the hearts, souls, and minds of audiences. Inspiring stories and powerful life lessons are masterfully delivered with passion, compassion, and humor as fresh perspectives are being created. 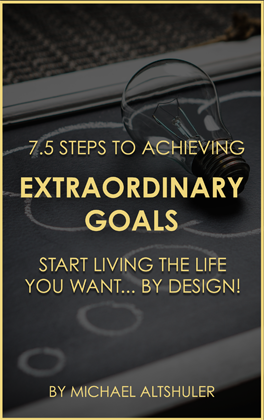 Michael shares universal laws and simple truths on how to achieve greater happiness, fulfillment and balance in life regardless of the roadblocks or hurdles life throws at you. Audiences will laugh, cry and rejoice as a new-found spirit embodies them.